Agostino Bertani, who worked with Giuseppe Mazzini and Giuseppe Garibaldi to liberate Italy, died on this day in 1886 in Rome. He had been a surgeon in Garibaldi’s corps in the Austro-Sardinian War of 1859 and personally treated Garibaldi’s wounds after the military leader lost the Battle of Aspromonte in 1862. Bertani became a hero to the Italian people for his work organising ambulances and medical services during Garibaldi’s campaigns and he became a close friend and strategist to the military leader. Born in Milan in 1812, Bertani's family had many friends with liberal ideals and his mother took part in anti-Austrian conspiracies. At the age of 23, Bertani graduated from the faculty of medicine at the Borromeo College in Pavia and became an assistant to the professor of surgery there. He took part in the 1848 uprising in Milan and directed a military hospital for Italian casualties. He organised an ambulance service for soldiers defending Rome in 1849 and distinguished himself by his service in Genoa with Mazzini during the cholera epidemic of 1854. In 1860 Bertani was one of the strategists who planned the attack on Sicily and Naples known as the Expedition of the Thousand. 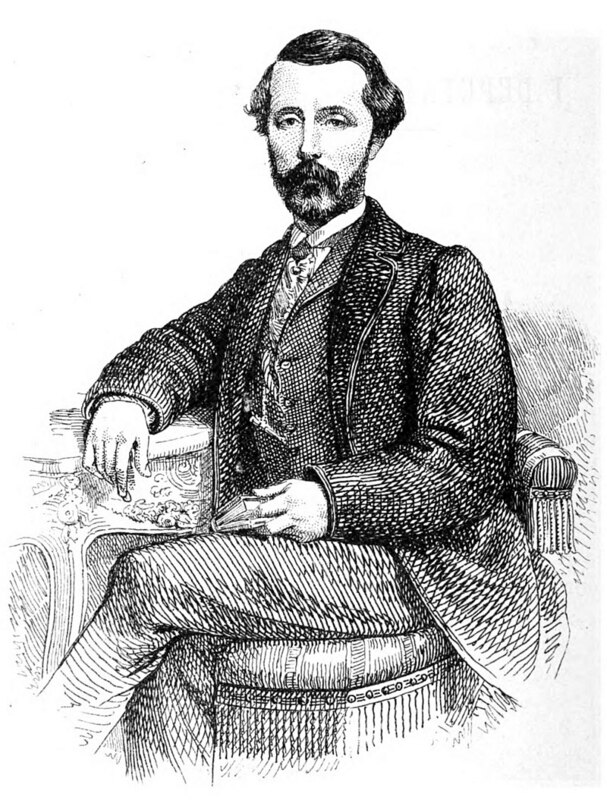 Bertani became Garibaldi’s secretary general after the occupation of Naples in 1860. While serving in this role he reorganised the police and planned the sanitary reconstruction of the city. He organised the medical service for Garibaldi’s 40,000 and fought in the Battle of Mentana in 1867 during Garibaldi’s march on Rome, even though he had been opposed to the campaign. 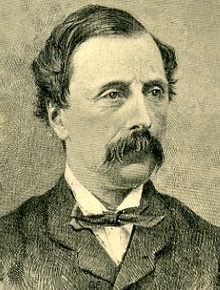 Bertani became leader of the extreme left in the new Italian parliament established in 1861. He founded La Riforma, a journal advocating social reforms, and launched an inquiry into the sanitary conditions of ordinary people. It was Bertani who prepared the sanitary code adopted by the administration of Francesco Crispi. In 1885, along with Anna Maria Mozzoni, a journalist and social reformer, he visited the anarchist Giovanni Passannante in prison. Passannante had attempted to kill King Umberto I but had failed. Originally condemned to death, his sentence was later commuted to life imprisonment. Passannante was kept in solitary conferment in a tiny cell in Portoferraio on the island of Elba. The inhuman conditions he was kept in eventually drove him insane. Bertani and Mozzoni reported on Passannante’s maltreatment and after an examination by doctors the anarchist was transferred to the asylum of Montelupo Fiorentino, although doctors there were unable to reverse his poor condition. Bertani continued to serve in the Italian parliament until his death the following year at the age of 73 in Rome. There are streets named in honour of Agostino Bertani all over Italy and in his home town of Milan there is a monument to him in Piazza Fratelli Bandiera, near the historic gateway of Porta Venezia. In its present form, the gate dates back to the 19th century; nevertheless, its origins can be traced back to the Medieval and even the Roman walls of the city. The surrounding streets are often referred to as the Porta Venezia district. 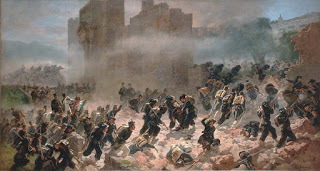 Italy was officially declared united after crack infantry troops from Piedmont entered Rome on 20 September 1870 after briefly bombarding defending French troops. They got through Rome’s ancient walls near the gate of Porta Pia. A marble plaque commemorating the liberation of Rome marks the place. Not far away in Piazza Montecitorio is the Camera dei Deputati, Italy’s parliament, which Bertani first entered in 1861.